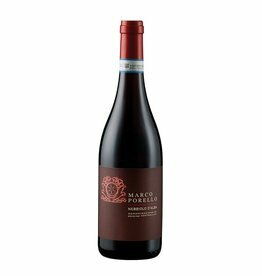 Mommiano is the name of the vineyard in the municipality of Canale in the Roero area, where this Barbera d'Alba by Marco Porello grows. It has a fruity style, as it is matured without wooden barrels. Red fruits and ripe black cherries characterize the scent, on the palate it has a lot of grip, a lively freshness and a considerable length in the finale. Despite its high maturity, it has all this vitality with 14.5% alcohol. A wonderful Barbera, which is way too cheap.